Gladys Lengwe: Green Card to the Ref! NOWSPAR is delighted to congratulate Ms. Gladys Lengwe on her selection to participate in the pre-selection of FIFA Referees ahead of the FIFA Women’s World Cup Canada 2015 TM. This is a positive opportunity, not only for Zambia but for the whole of Southern Africa as she is one of the five women selected from Africa. Our hopes are that through the Football Association of Zambia’s renewed commitment to invest 30% of their FIFA grant to the development of women’s football. We look forward to the development of a mass of young women referees alongside coaches, administrators, managers and trainers to service the women’s football league which is being developed. We are optimistic that with women reaching higher in the refereeing area of sport, we can have visible role models for the diversity of roles that women can play within the sport sector. Ms. Lengwe is the 2012 MTN Best Referee of the year in the National Football League in Zambia and we at NOWSPAR are confident that this is just a tip of the iceberg of what she and the women in sport in Zambia can achieve. [Lusaka, 15.04.13] Girl Power! Was the resounding shout at the launch of the Annual GirlsLead Camp held today at Lusaka Secondary School. The event is a day long girls workshop that has brought together 67 girls aged between 11 and 19 from the Goal Program at Gospel Outreach and Lusaka Secondary Schools. Speaking on behalf of the Goal Participants Shalom said being a part of the Girl Power Club is important to her as it provides her with an opportunity to be a leader, to make friends and to learn about useful things such as health and finance. Lusaka Secondary Parent Teacher Association Chairman Mr. Kasanga, said he was proud that NOWSPAR had partnered with the school to deliver this program which is highly beneficial to the girls and the school. He assured the girls that parents will remain supportive of the program as long as they demonstrate their leadership both at school and at home, they should share their knowledge and act responsibly as that is the only way to show that they are empowered. Mrs. Ngulube urged the girls to hold on to their sound values of self respect and dignity, and to be aware that not all schools have these programs and so it is a privilege that they are leading the way in implementing of this program and that they are the leaders to take this program to other schools. And as the theme of Goal is Reaching New Heights, we look forward to girls achieving higher in academics, in their personal lives, Socially and in being open and confident as they are demonstrating today. Speaking on behalf of the NOWSPAR Director Ms. Mwaba, General Secretary Ms. Lombe Mwambwa highlighted the importance of investing in girls leadership and participation in sport and physical activity as a foundation for a healthy and empowered population. Sport Officer at the National Sports Council of Zambia Phoebe Silabo shared her testimony of her long involvement in sport including as a sport volunteer, Sport for All program coordinator and now facility manager of the National Sports Development Centre. Activities at the camp include physical activities, role play, videos and debates. The Camp development and coordination is led by Goal Trainers Samantha Lukonde and Mofu Kandondo. The program currently has 110 girls participating in two schools in Lusaka and is supported through our partnership with WomenWin. There are very few women at the helm of decision making bodies of Sport Associations in Zambia. Rose Chileshe Mutupa is one of them. 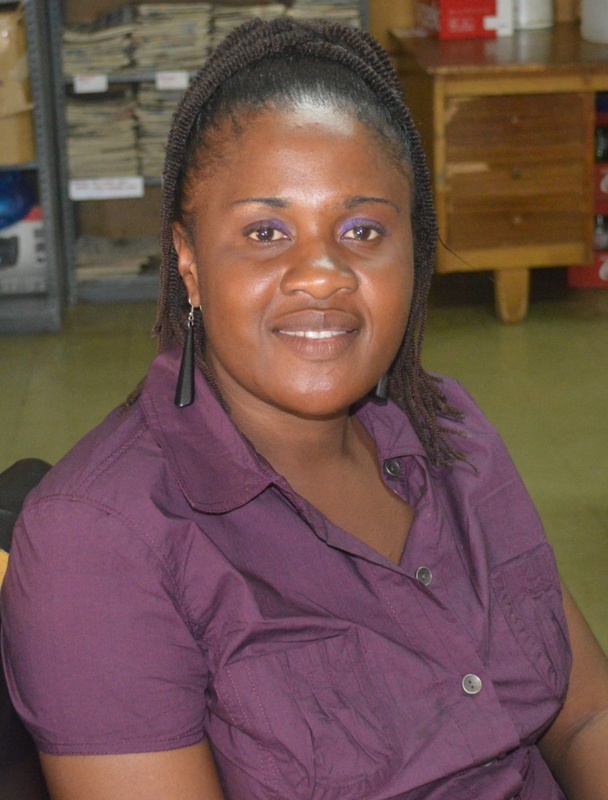 Rose Mutupa is Vice-President of the Handball Association of Zambia. Born in 1975, Rose is a teacher by profession. Her interest in sport especially netball and handball started at a tender age. Married with 3 children, Rose has never departed from her love for sport and she still plays netball and handball. NOWSPAR’s She Leads Survey found that in 2012, women made up only 19% of the total number of executive board members in the 23 Sport Federations surveyed in Zambia. Rose’s progression to Vice – President of the Handball Association of Zambia was not by mistake, it took deliberate planning and determination. Rose recalled how whilst at school she got interested in handball and wanted to be a part of the leadership to contribute to the transformation of the organisation and the sport. When elections where held for Executive Positions with all provinces present, she contested and was elected Vice President. In her position, she has noticed that some women do not have a lot of support from their families to participate in sports when they are younger and this reduces as they get older as expectations on their time increase. Rose would like to see more women participating in handball as well as occupying management and administrative positions. The Handball Association has limited funds, it is difficult for them operate and to run sustainable programs. This affects the investment they can make in their capacity to deliver for girls and women and boys and men too. In order to guarantee girls participation the association now makes it a requirement that all sports competitions have a girls handball team in order to participate in the competition. There is a lot of sensitizing going on in schools on the importance of sport and the participation of girls in sports such as handball. Rose says it is important for women to support each other especially though sport. Women should as well not sit and wait for the government to issue policies such as affirmative action. They should fight for their rights and for their children’s rights as women are very influential in the socialisation of children.